Four years ago today, quarterback Tim Tebow signed his last NFL contract. On April 20th, 2015, the two-time BCS national champion inked a one-year deal with the Eagles. With Tebow seemingly settling for a backup gig in Philly, it emphasized how far the former first-rounder had fallen in only a few years’ time. In 2011, Tebow appeared in 14 games (11 starts) for the Broncos, completing 126 of his 271 pass attempts (46.5% completion percentage) for 1,729 yards, 12 touchdowns, and six picks. He also added 660 rushing yards and six scores on 122 carries. 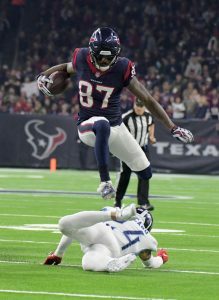 The Florida product also appeared in two playoff games that season, including a dramatic overtime win over the Steelers. However, after Denver inked Peyton Manning to a contract prior to the 2012 season, Tebow was traded to the Jets. The quarterback ended up making 12 appearances (two starts) for New York that year. While he only attempted eight pass attempts, he did compile 102 rushing yards on 32 carries. His season ended prematurely after he suffered two broken ribs. Tebow was released by the Jets following that season, and he caught on with the Patriots during the 2013 preseason. Ultimately, New England let him go prior to the regular season, and Tebow transitioned to a broadcasting gig. However, on this date four years ago, he still managed to receive his final NFL opportunity. When the Eagles signed Tebow, they were hoping he’d compete with Matt Barkley to be the team’s third-string signal-caller behind Sam Bradford and Mark Sanchez. Tebow ended up getting action in all four of Philly’s preseason games, completing 21 of his 36 attempts for 286 yards, two scores, and one pick. He also added another 82 rushing yards. 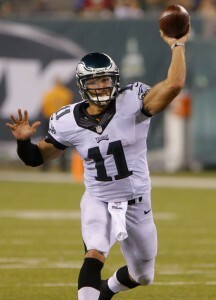 However, after nearly two years away from football, Tebow was clearly a step behind the other signal-callers on the Eagles’ depth chart, and the team released him prior to the regular season. Since that time, Tebow has taken his athletic prowess to baseball, where he’s been playing in the New York Mets’ farm system. Had the quarterback been able to establish a role on that Eagles team, perhaps the 31-year-old would still be pursuing his NFL dreams instead of lingering in the minor leagues. Three weeks into the free agent period, starting-caliber defensive players are still available on the open market. I asked PFR readers which free agent defender is the best, and most respondents (41%) voted for defensive tackle Ndamukong Suh. Safety Eric Berry came in second with roughly 15% of the vote. Gronk will retire (or maybe not? ): This era’s tight end kingpin will leave the game shy of his 30s. Rob Gronkowski informed the Patriots he will retire at just 29. This would make him a candidate to join Jim Brown and Gale Sayers as Hall of Famers by their mid-30s, in the event Gronk stays retired. However, the Pats icon might not be 100 percent committed to this venture just yet. At least, his agent doesn’t think so. Drew Rosenhaus’ gut feeling is his client will come back at some point, though Gronkowski informed Rosenhaus he is “done, done, done.” The Patriots placed Gronk on their reserve/retired list, ensuring they would hold his rights if he reconsiders. Patriots DC backs out: Greg Schiano reversed course on his commitment to become the Pats’ defensive coordinator. The former Buccaneers head coach decided this week to vacate his new role, barely a month after accepting it. Schiano spent the past three seasons as an Ohio State assistant head coach. His decision has Bill Belichick rumored to be taking on more responsibilities next season. The Pats lost longtime DC Matt Patricia during last year’s hiring period and de facto DC Brian Flores is now the Dolphins’ head coach, putting the defending Super Bowl champs in a bit of a bind. 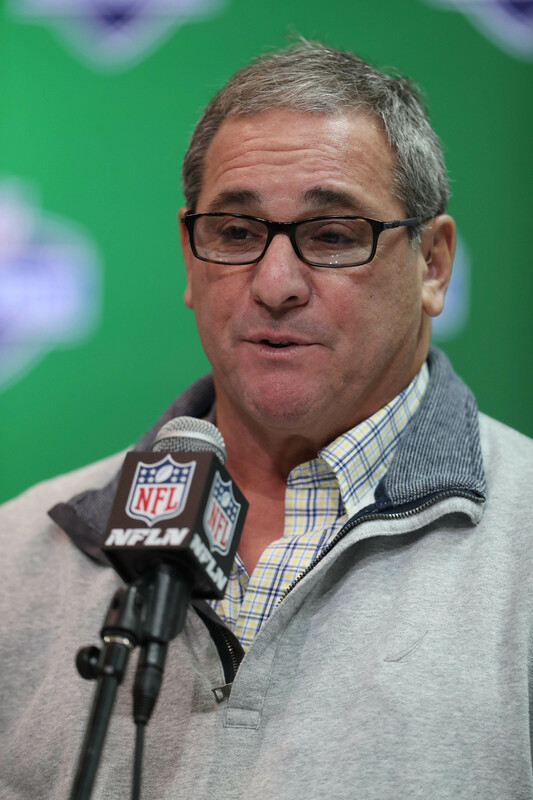 Eagles, Cowboys add veterans via trade: In an offseason that seen the Eagles bring back DeSean Jackson and Vinny Curry and sign Malik Jackson, Philadelphia made another move to bolster its 2019 roster. 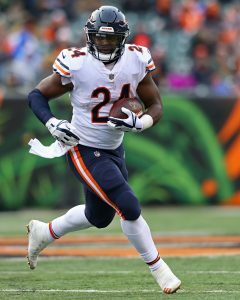 Jordan Howard is now an Eagle, with the Bears set to receive merely a 2020 sixth-round pick for their three-year starting running back. This adds a big name to Philly’s backfield. The Cowboys, conversely, have been quiet. But they made a deal to acquire Robert Quinn late this week. The rebuilding Dolphins shed another veteran and will pay some of his salary. 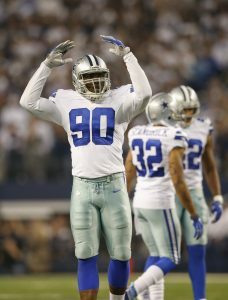 The Cowboys and Quinn also agreed to a pay reduction, with the eighth-year edge defender now set to make $8MM in 2019. Nelson, Lechler, Lang say goodbye: More Pro bowlers are leaving the game. Jordy Nelson, Shane Lechler and T.J. Lang announced their respective retirements this week. All three players were free agents. Nelson will call it quits after 11 seasons — 10 of which in Green Bay. Although Nelson was only a one-time Pro Bowler, he was one of this era’s premier scorers at the receiver position. He finished as a top-five Packer in receptions, receiving yards and touchdown grabs. Lechler did not play last season but logged 18 years as a punter, one of the best the NFL has ever seen. 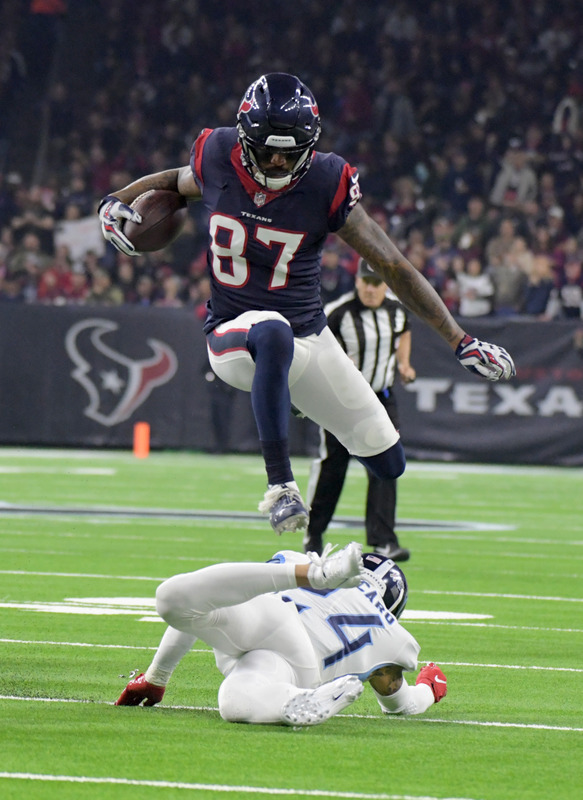 The former Raiders and Texans specialist finished with six first-team All-Pro nods — the most ever for a punter. 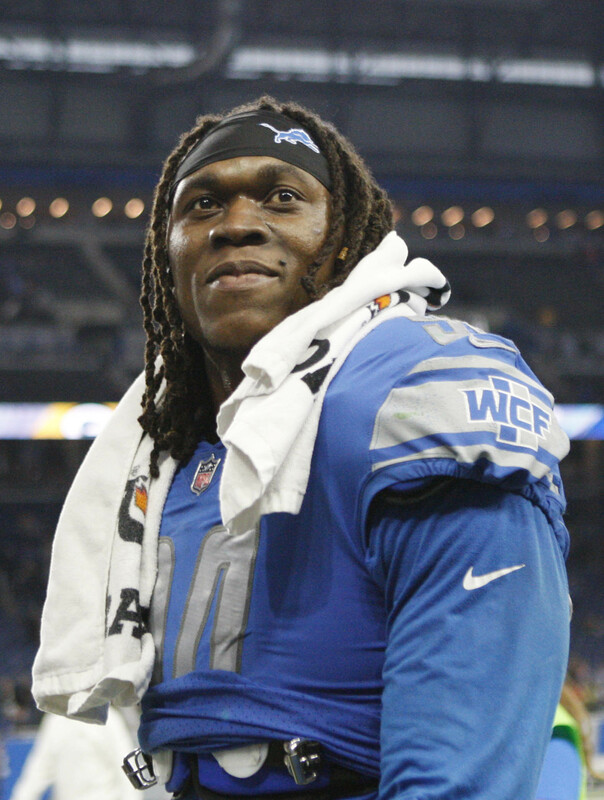 A two-time Pro Bowler, Lang spent two seasons with the Lions after an eight-year Packers run. The veteran guard ran into injury trouble in Detroit, most notably dealing with concussion issues in recent years. Trouble on the DeMarcus Lawrence front? The franchise-tagged contingent had not produced much news this offseason … until this week. It no longer appears the Cowboys’ negotiations with Lawrence are going smoothly. While that is not uncommon for players attached to a tag, Lawrence’s asking price may be an issue. 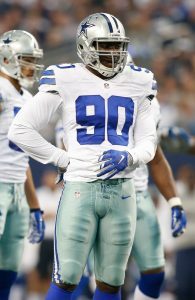 Once thought to not view Lawrence as a $20MM-AAV player, the Cowboys have now seen their standout defensive end ask for more than $22MM on average. Dallas had increased its offer to Lawrence and has addressed the fact that the gulf between Khalil Mack and Von Miller ($23.5MM per year to $19MM AAV) is an issue. Now, the sides are at an impasse, with Lawrence’s shoulder surgery (which calls for around a four-month recovery) still yet to be scheduled. I checked in on the status of 30+ restricted free agents, each of whom have until late April to sign offer sheets with rival clubs. Thus far, only one — Rams running back Malcolm Brown — has done, but Los Angeles matched the terms of the Lions’ contract offer. 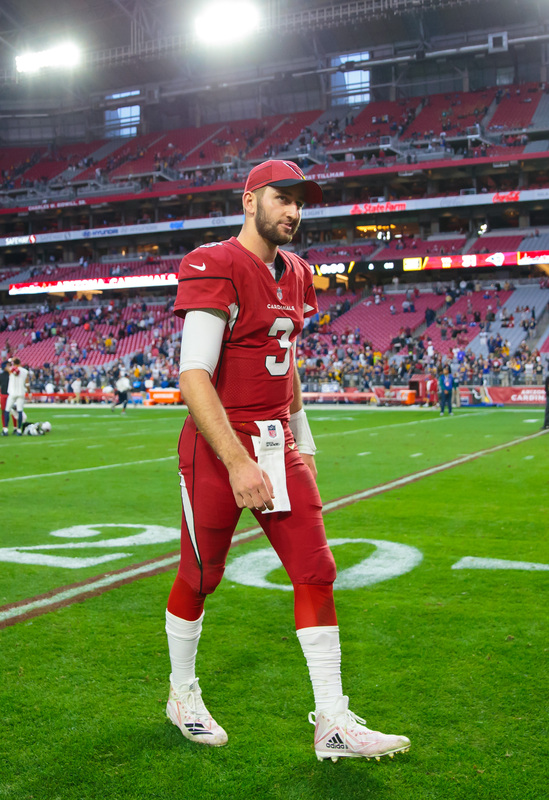 Josh Rosen will be available if the Cardinals follow through with their rumored plans to draft fellow quarterback Kyler Murray with the first overall selection, leading Sam Robinson to ask PFR readers if the signal-caller-needy Giants should trade for the 2018 first-rounder. So far, more than three-quarters of voters think New York should make a play for Rosen. In the latest entry in our Community Tailgate series, Rory Parks asked PFR readers to weigh in on how Demarcus Lawrence‘s contract talks with the Cowboys will play out. Lawrence has reportedly raised his asking price, leading the two sides to an impasse.